Mangaluru, Mar30, 2015 : With just 13 days left for the launch of Social and Educational Survey (caste census) through the Karnataka State Commission for Backward Classes, Catholic as well as Protestant leaders have a reason to worry as prominent communities - ‘Roman Catholic’ and ‘Protestant’ do not figure among the 1,503 castes listed in the form. The list includes 101 SCs, 51 STs and 1,351 other castes, including Hindus, Muslims and Christians among others. Interestingly, the caste census is being done for the first time after 1931 and the task has been entrusted to the Karnataka State Commission for Backward Classes following a Supreme Court order, so that the commission submits a detailed report to the government after studying the social as well as educational status of all classes of people. As of now, the census form has 55 columns in which question numbers 1 to 39 have been reserved for individual information such as general information, educational qualification, occupation, etc, while question numbers 40 to 55 are meant for household information such as property owned by the family, source of drinking water, main fuel used for cooking and benefits obtained from the government, etc. Among the Christians, Roman Catholics and Protestants form the majority in Karnataka. While there are nearly four lakh Roman Catholics in the erstwhile Mangalore Diocese (comprising Dakshina Kannada and Udupi) alone, there are 1,78,177 Protestants belonging to the Church of South India (CSI) in Karnataka, according to Lenin Ammanna, Secretary to Bishop, CSI. 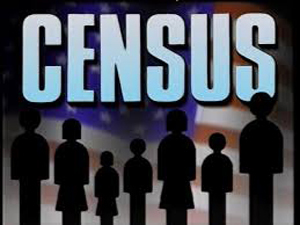 However, there is no column to mention Roman Catholics or Protestants in the census form. On the other hand, there are 50 sub-castes among Christians, excluding Roman Catholics and Protestants. They include Adi Andhra Christian, Akkasaliga Christian, Banjara Christian, Bestaru Christian, Billava Christian, Brahmana Christian, Ediga Christian, Golla Christian, Gowdi Christian, Gowdi Christian, Holeya Christian, Jangama Christian, Kamma Christian, Kuruba Christian, Lamani Christian, Lambani Christian, Madiga Christian, Madiwala Christian, Reddy Christian, Syrian Christian and Siddi Christian among others. “Except Syrian Christian (to which Home Minister K J George belongs), the number of other Christians mentioned in the list is nowhere comparable to Roman Catholics and Protestants in the State,” said Canara Communication Centre Director Fr Richard D’Souza. Mangalore Diocese secretary and advocate M P Noronha said the diocese would take steps to include the option “Roman Catholic” in the list before the census commences on April 11. When contacted, Karnataka State Commission for Backward Classes chairman H Kantharaj said the commission had given wide publicity and sufficient time to submit representations, if any. “Whoever has given representation, we have made suitable changes and the forms have been already printed and distributed, too, as only a few days have been left for the commencement of the survey,” he said. There is a provision in the list to include any caste, if the respondent informs the person who conducts the survey during the door-to-door visit. However, no additions can be made in the form in print now, he said. In fact, according to sources, the Karnataka Christian Development Committee, too, had received communication from the BC Commission and they were supposed to submit a petition, but they did not do so either due to lack of knowledge or for some other unknown reason. The Committee is headed by Home Minister K J George, while MLA J R Lobo is the vice president and MLC Ivan D’Souza is one of the members. Interestingly, both Lobo and D’Souza hail from Mangaluru, where almost all Christians belong to Roman Catholics, including themselves. When contacted, Dakshina Kannada district resource person for census, Pradeep D’Souza, said he came across the question (why Roman Catholic is not listed in the form) during every training session, but he does not have an answer. “I have brought the issue to the notice of the persons concerned,” he said and added that unless steps are taken before the commencement of survey, Roman Catholics as well as Protestants stand to lose a golden opportunity to find their details in the census, which is being conducted after 84 years. “This will be a document for the years to come and there may not be another such survey in our lifetime,” he says.